If you have been reading my product reviews for awhile, you know that sodium lauryl sulfate (SLS) is an ingredient I avoid due to my son’s sensitivity. One area it is difficult to find products without SLS is dental care. Even Tom’s of Maine, one of the first companies to offer “natural” toothpastes, uses SLS. Green Beaver is a new brand for me. I’ve never seen it in stores, and frankly, if I did, I probably wouldn’t pick it up because the labels is not aesthetically pleasing. Although I try not to judge books by their covers, the artist in me can’t help it. 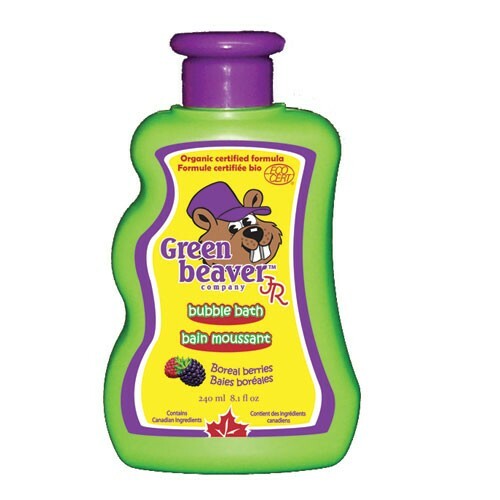 Anyhow, I am pleasantly surprised by Green Beaver, a Canadian company you can trust! Their low hazard scores on the Environmental Working Group’s Skin Deep cosmetic database range from one to two. synthetic “antibacterial” ingredient with chemical structure similar to Agent Orange! EPA registers it as a pesticide, posing risks to human health and environment. Classified as a chlorophenol, chemicals suspected of causing cancer in humans. Tufts University School of Medicine says triclosan is capable of forcing emergence of ’super bugs’ it cannot kill. The Canadian Paediatric Society called for parents to stop buying antibacterial products, and instead use soap and water to wash toys, hands or household items. – Works well on wet or dry hair. Coconut water is all the rage now for its electrolytes and ability to quench your thirsty. It is great for hydrating after being sick from vomiting or diarrhea, as well as any time you need a drink. 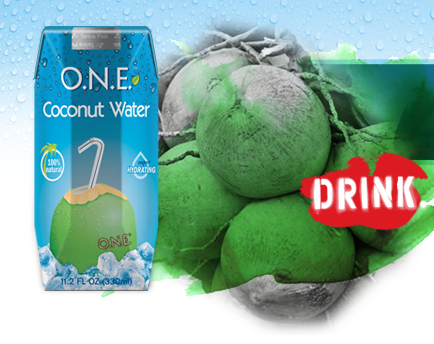 O.N.E puts their coconut water in handy juice boxes that make them easy to pack in kids (or adults) lunches. O.N.E.™ is the premier, all-natural beverage company established in 2005 by Rodrigo Veloso – a visionary instrumental in creating a whole new category of functional beverage in the U.S. Their award winning and #1 selling coconut water is fast-becoming recognized as America’s healthiest beverage for providing enhanced hydration, essential nutrition and all five essential electrolytes (calcium, potassium, magnesium, phosphorous and sodium). O.N.E.™ drinks are packaged in environmentally friendly Tetra Pak cartons underscoring the company’s deep commitment to the Earth. O.N.E.™ is a founding member of Conscious Capitalism (consciouscapitalism.com) and dedicated to using its business platform of conscious capitalism to educate consumers about the importance of proper hydration in all stages and phases of life. As such, it supports several nonprofit organizations – most importantly Healthy Child Healthy World (www.healthychild.org). It is also collaborating with the Alliance for a Healthier Generation, an initiative that supports schools nationwide in developing healthier environments with the goal of reversing the trend of childhood obesity. Would I buy these products? Maybe. I would prefer to purchase the organic version, which I was not sent, and I do have concerns with the tetra pak. I can’t recycle them where I live, and we have great recycling centers that take just about everything else. Laundry soap, like beauty products, is another area my son’s sensitive skin can react. Natural laundry products not only are better for our health, they are better for our environment. The grey water from our washing machines eventually returns to the earth. Eco Nuts is the laundry soap for you if you are leading a plastic-free life! Amazingly, it contains only three ingredients: “Soapberry extract, vegetable glycerin, Potassium Sorbate (food grade preservative)”. Would I buy this product? Maybe. It is probably the greenest laundry detergent I have come across, especially with the metal packaging; however, the price is prohibitive if you have to do tons of laundry like me. At about 30 cents a load if you buy the larger size, it doesn’t sound like much money but it is a lot more than the nine cents a load I currently pay. Sometimes it just comes down to economics. I love Lifefactory bottles! Glass is definitely the best material for drinking bottles, and the silicone sleeve makes these bottles easy to grip and protects them from breakage. Would I buy this product? Absolutely YES! We actually own three Lifefactory glass water bottles and fight over who gets to use them. We have broken one, but we are rough with our water bottles. I love the ease of just tossing them in the dishwasher, and I love that we can put any beverage in them without worrying about metallic taste. Why Keepin’ Fresh™ Kids Stainless Bento? It’s Easy To Use! It’s Easy To Wash! It is not entirely plastic free, but it does make stainless steel a bit cuter with the decorative protective shell. The plastic lid is also easier for little hands than some of the stainless steel lids I have seen. It is a nice hybrid of food storage options. Would I buy this product? Probably not. It is better than all plastic food storage, but it is not completely plastic-free, which is what we aspire towards when it comes to food and drink storage. « Hank D and the Bee: The End of Brussel Sprouts?